Side vents at the bottom of this flare leg pant make a fashion statement. 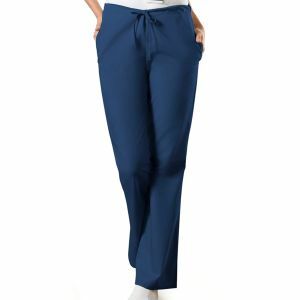 An adjustable front drawstring, back elastic waist, slash pockets, one back patch pocket, and side vents are also featured. Inseam 33.5".